Soak for 2 hours or overnight. Very delicious and nutritious. Fact: Chia seeds are loaded with Omega 3 fatty acids. They are also said to boost energy and is high in antioxidants. 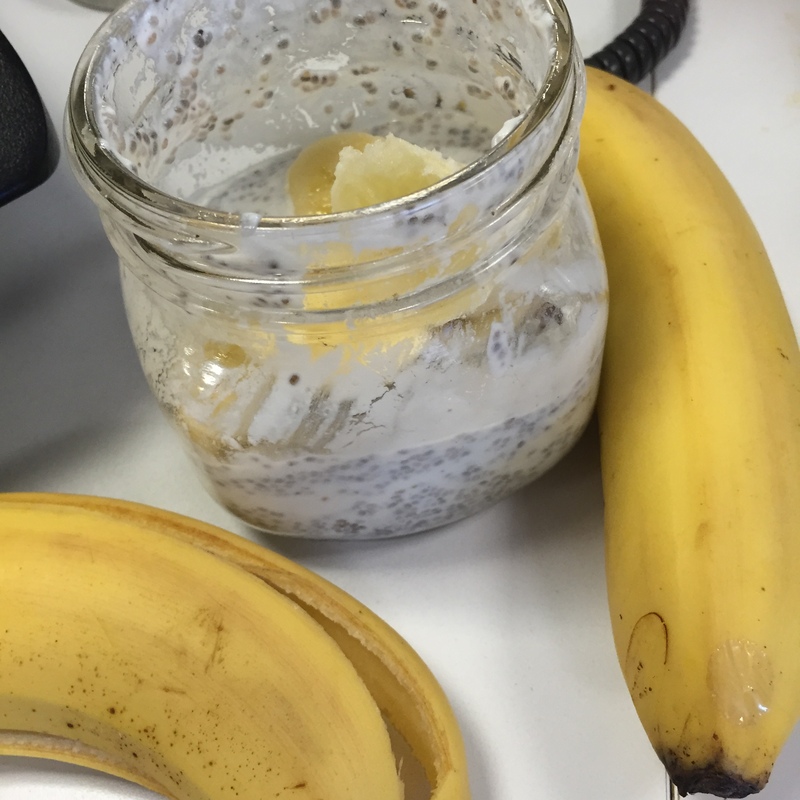 Also, an ounce of chia seeds contains about 4 g protein. This is a delicious breakfast. I make the yogurt and kefir myself. I get the raw sheep milk from Uddermilk.com The raisins add a natural sweetness without any added sugar. The vanilla gives the pudding a real decadent smell. 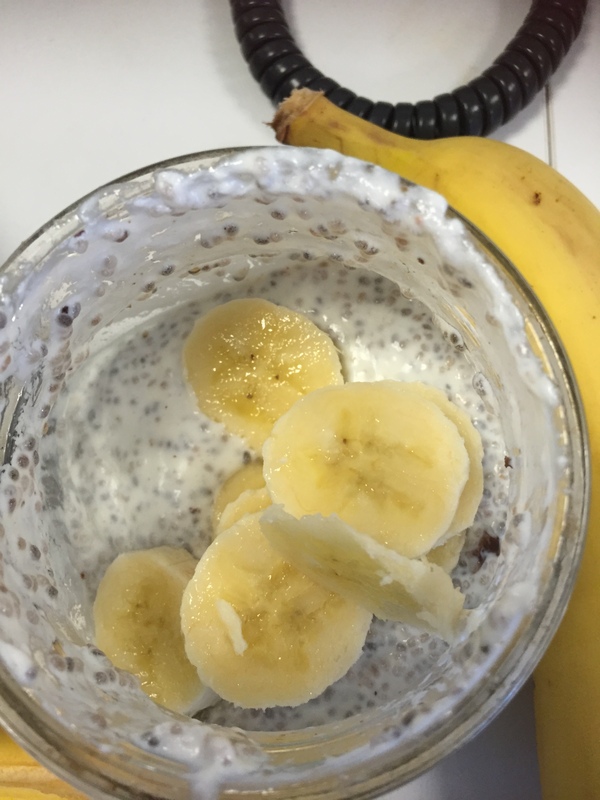 You don’t need a lot of chia seeds because they have an amazing ability to expand. Finally, you can also use any type of nut (almond, coconut, etc.) milk, instead of the sheep’s milk. Jason Vale, the Juice Master often reiterate his dislike for certain vegetables. 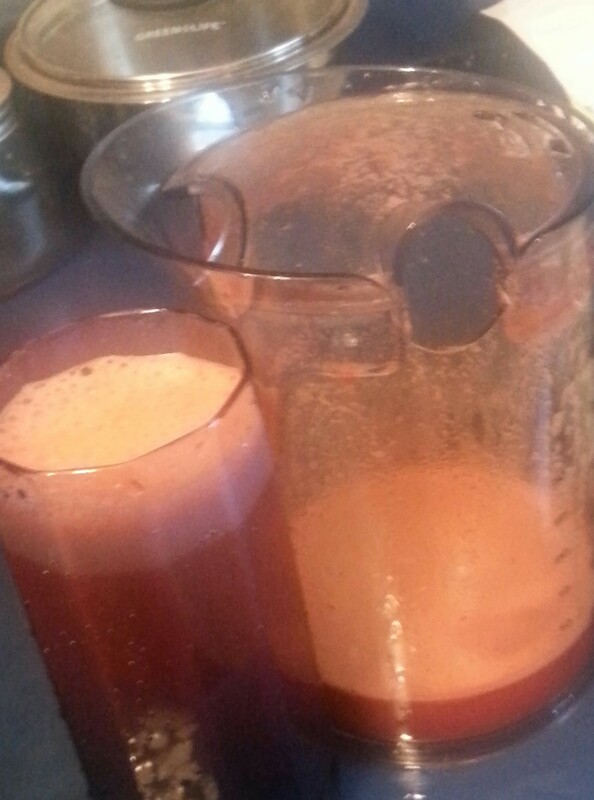 However he gets past his distaste by juicing. Hence his favorite question, “if I can’t eat it, can I drink it”? 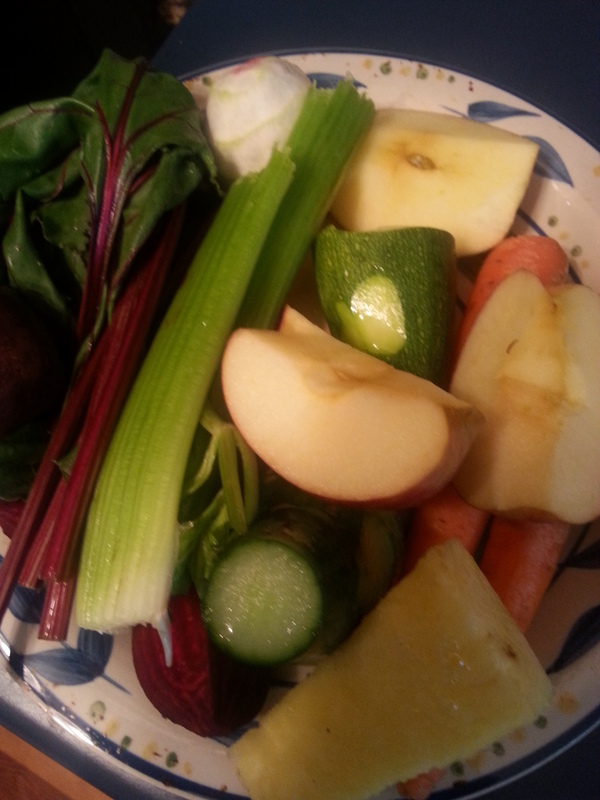 Below is a plate of freshly prepared fruits and vegetables I put together for my morning juice. 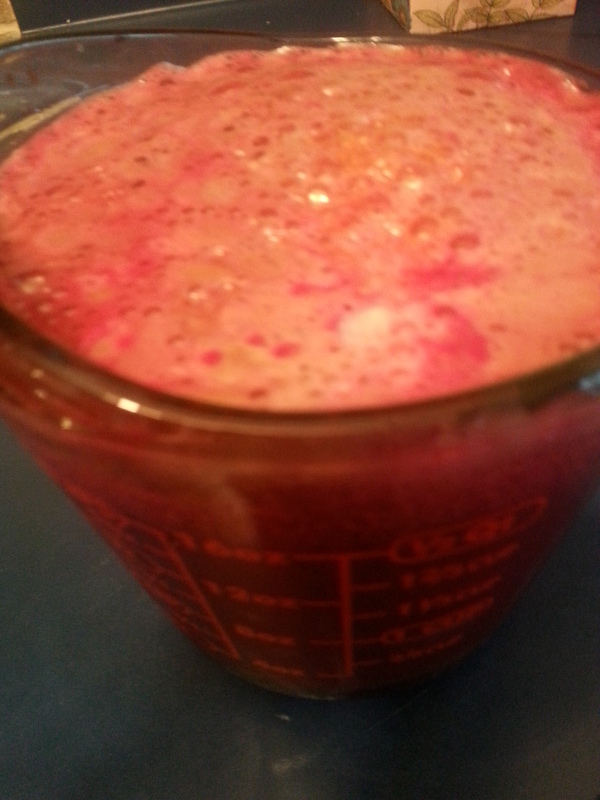 organic beet greens, beet, pineapple, cucumber, celery, apple, carrot, lime, zucchini. 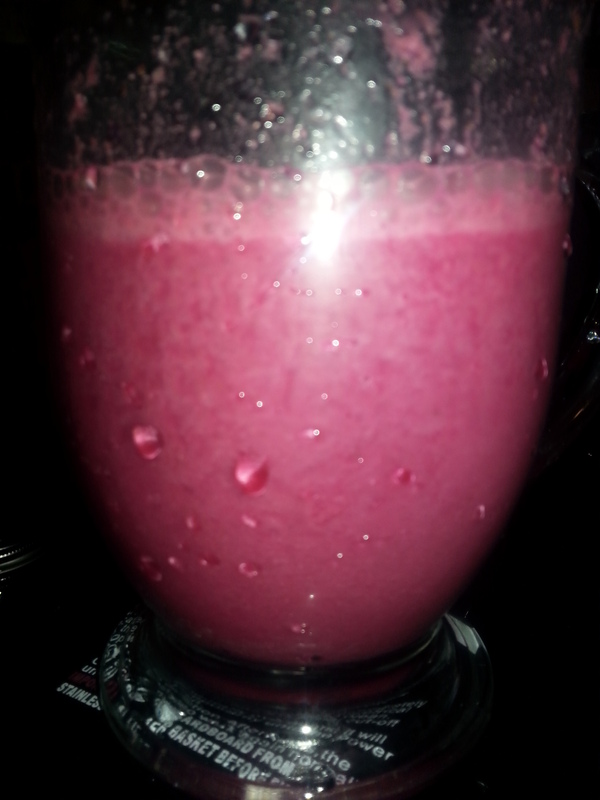 The juice was delicious but I wanted to make it a “thickie” or smoothie since it is my breakfast and possibly my lunch. So I added a tiny ripe banana, 6 strawberries, and a tablespoonful each of chia, hemp, pumpkin and sunflower seeds and blended for a few seconds in the Vitamix. So today, Nablopomo challenges us to “Tell us how you wish you ate if it’s different from your day-to-day reality.” Wow! Big one. I certainly wish I ate less processed foods like those awesome blueberry scones from Starbucks. They sure are yummy though. I also wished I ate less Trader Joe’s chocolate mint chip ice cream and way less bread. But if you ever had a piece of hot Jamaican hard dough bread with butter, you would surely empathize. I have been successful in cutting out meat from my diet without even a hint of craving it. However, I can’t seem to ditch ice cream or pastry. And some would say that I don’t need to ditch ice cream but you have no idea. I can eat a pint in one sitting. Yes, I admit it. 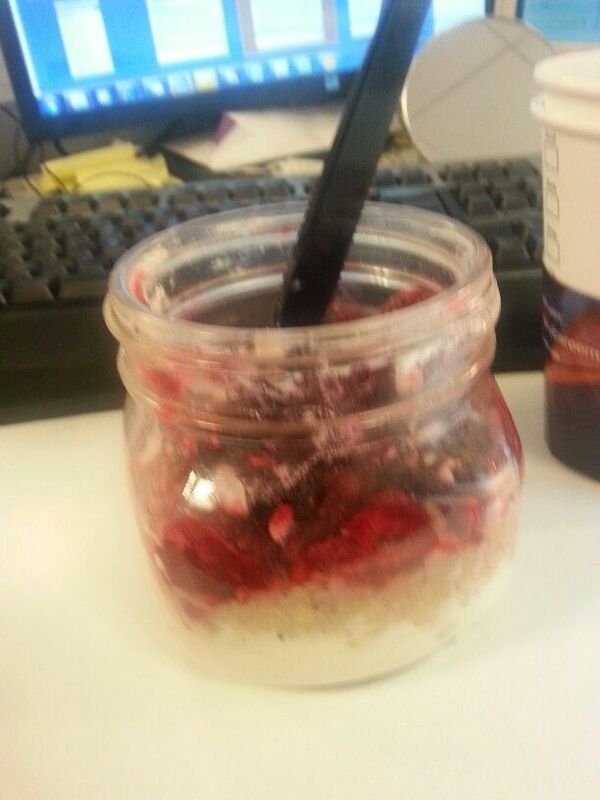 1- My homemade yogurt parfait taste way better and is far healthier than the stuff I buy on the street. 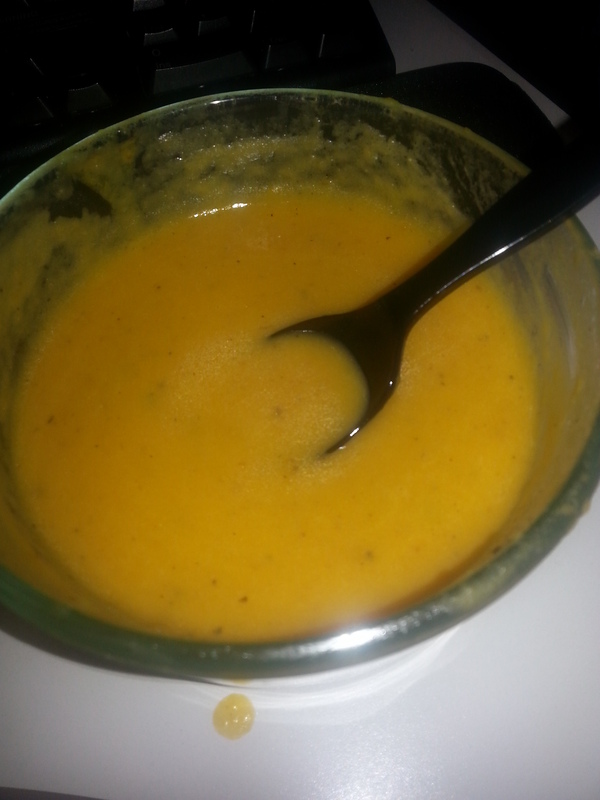 I also make a mean (I think) roasted butternut squash and coconut cream soup. 2- If I did this every day, I could avoid the saturated fats that restaurants use to prepare their meal. Not to mention the abundance of sugar and sodium. And tell me why, oh why do restaurants add bacon to everything? I don’t get that. 3- I would absolutely know what is going into what I eat. My day to day reality is full of inconsistencies. Some days I eat like a bird — picking at this and that. Other days, I eat whatever I feel like. Still on other days I carefully select healthy fare for each meal and practice perfect portion control. I must add that this inconsistent behavior with food is kind of typical of a lot of other things in my life. Not a good observation but the truth nonetheless. Mmm! How did I get here? So basically, I wish I ate the foods I think about eating – fresh fruits and vegetables; herbs and spices; and nutrient rich, natural supplements — all the time. I wish I wasn’t always throwing expensive, organic provisions away because I don’t make the time to prepare them. Finally, I wish I fully utilized the measuring spoons and cups, food scale, and all the other useful kitchen tools I’m always purchasing, hoping to do better. This topic has really given me something to think about. I read with interest Donna Gates book The Body Ecology Diet and was taken by cultured vegetables. I did some research on sauerkraut and Kimchee and purchased some ready made products from a reputable company. I loved the veggies so much, I wanted to make my own. Plus, I wanted to put my own ingredients in without the salt. 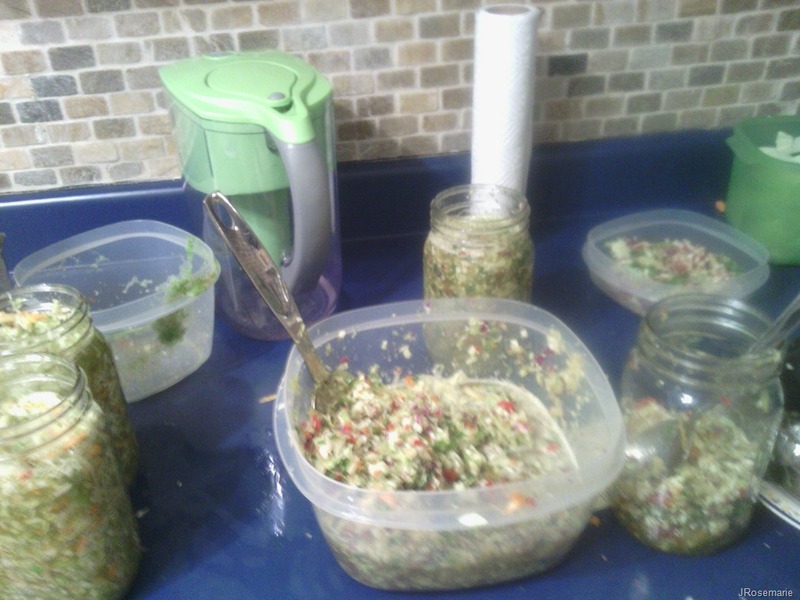 So I purchased a dozen wide mouth ball jars and a box of “Body Ecology culture starter”. I used my seldom used Bullet Express to shred red and green cabbage, carrots, beet (for some of the jars), red and green pepper, ginger and some scotch bonnet pepper for the heat. I also blended some celery and used the juice instead of salt and plain water. 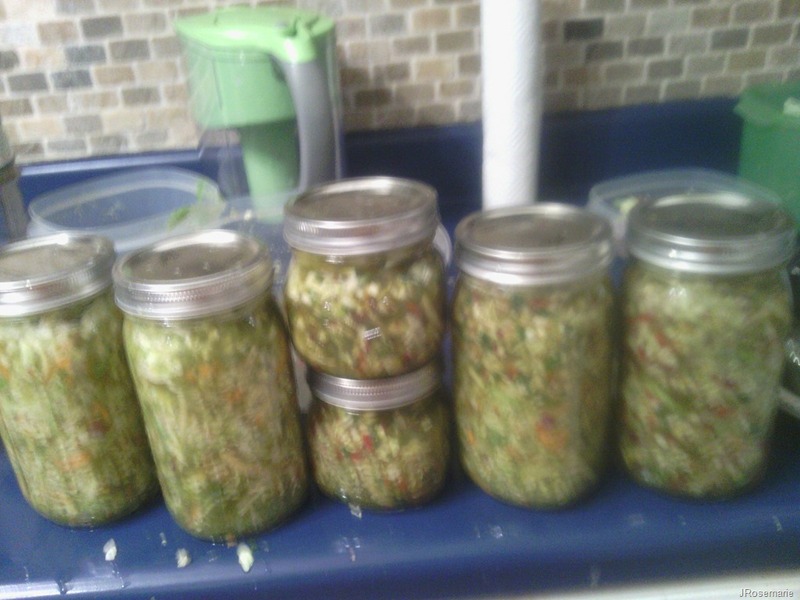 I made 6 jars and they lasted for about one month. However I am having trouble opening the last jar and that will probably end up in the garbage. 1. It is easy and fun. 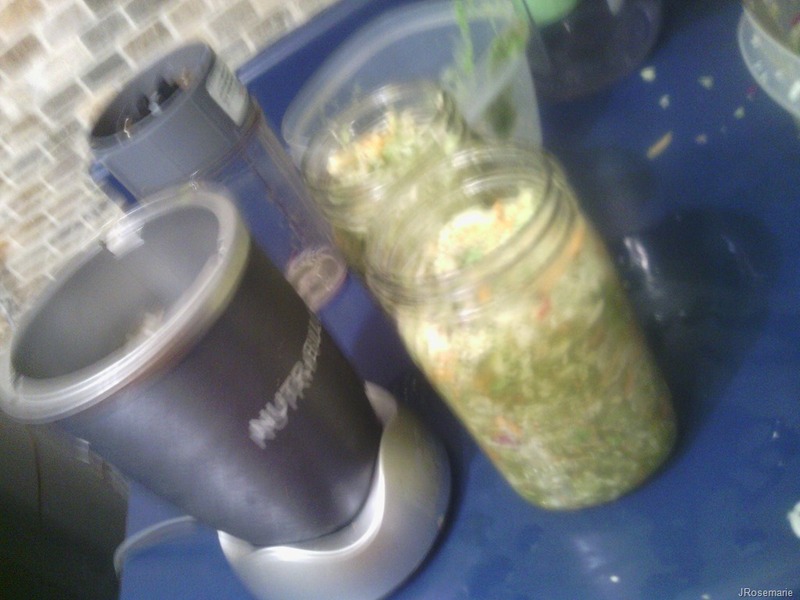 Once you have a good food processor to shred the veggies, the rest is quite easy. 2. Use organic where possible. Although the good bacteria will destroy any bad bacteria during the fermenting process, it is best to start with organic foods. This way your good bacteria can concentrate of the fermentation process. 3. Salt is not necessary. You can use celery juice instead of salt. The flavor is no different I find. 4. Don’t be afraid to add spices and herbs. Some people to not like spicy foods or strong tastes from herbs. They also do not like the taste of garlic and onion. I added garlic, onion, rosemary and thyme despite the warnings in the video and loved the strong flavor. This may not work for those who prefer their food more bland. 5. Use a culture starter. A culture starter though not mandatory makes the fermentation process much faster I think. There are also way more good bacteria available if you use a starter. 6. Do not overfill your jars. I made that mistake and by day 3 there was veggie juice all over my server when I opened the jars to let the air out and to check the veggies were ready. 7. Leave them in a warm place to ferment. You will notice the liquid in your veggies starting to bubble by the second day. Within 72 hours you can try them to see if they are to your taste. If not, you can leave them in the warm location for another 24-48 hours then try them again. 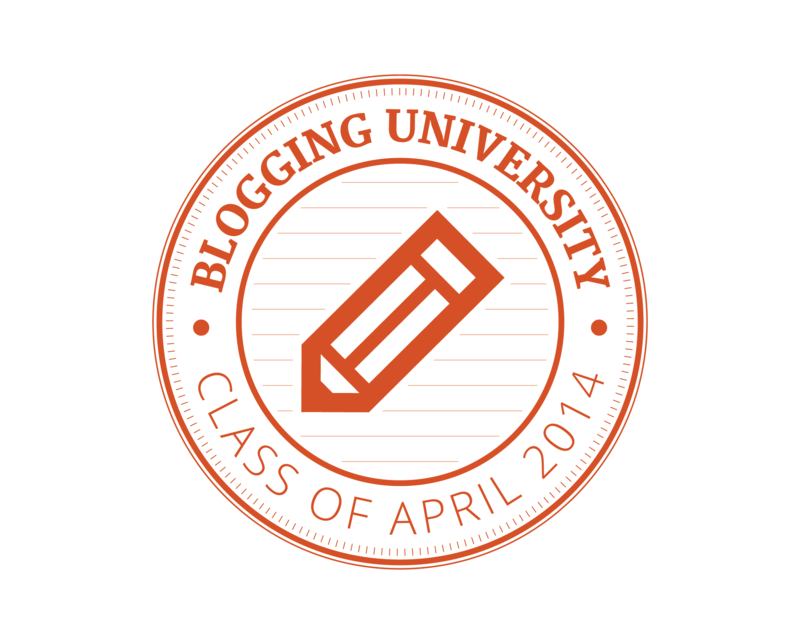 The above is not a comprehensive guide but just a few tips I learned during my experience and from research. Fermented foods are not only tasty but they are also quite good for our guts. Fermentation enhances the immune boosting properties of the foods you use.